Fire safety is an issue on everyone’s minds. Questions are being asked about inadequate safety measures causing fire to spread rapidly through buildings with large numbers of occupants. It is important to address how this can be prevented so that tragedies are avoided in the future. Compartmentation – subdividing buildings into a number of compartments to restrict the spread of flames and smoke – is absolutely essential to keep people safe. This is achieved by closed fire doors, and fire resistant materials incorporated into walls and ceilings. These measures keep fire contained, giving time for emergency services to deal with the situation. By keeping a fire contained, and preventing the spread of fire, people can evacuate safely and damage to a building is minimised. Hand in hand with compartmentation is the need for all building users to have clear information on what is the safest action to take, whether that is to stay put and await the fire service, or evacuate safely. Evacuation routes need to be clearly marked, all building users, including visitors, need to be informed of fire safety procedures, and information must be readily available at all times so people can check anything if they are unsure. All landlords, building owners, managers, and other responsible people have a clear responsibility under the law that their premises meet all fire safety requirements. 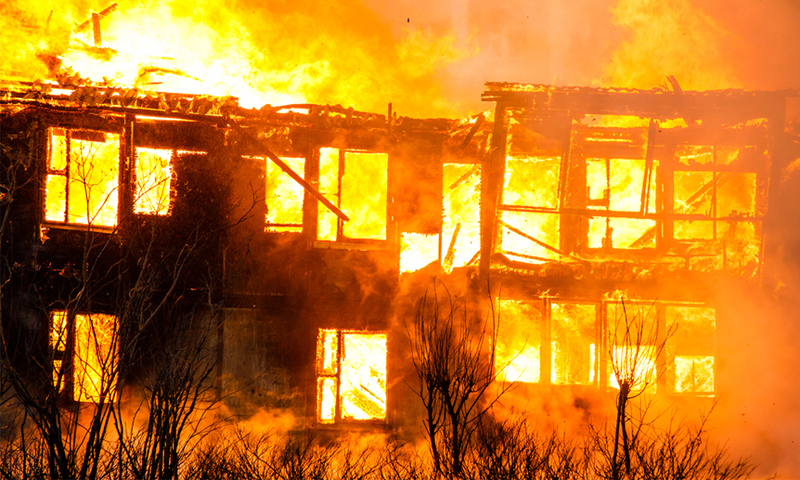 Buildings must be effectively maintained to provide protection in the event of a fire. A thorough risk assessment must be carried out to make sure that all buildings have the correct fire safety measures in place. The Fire Safety Advice Centre has a good guide to risk assessments here. When regulations are breached, lives are at risk.